Suitable for bird-lovers, this book features humorous prose that reveals a man who loves words as well as birds. No journalist is better situated to reckon with the psychology of war than New York Times bestselling author David Finkel. 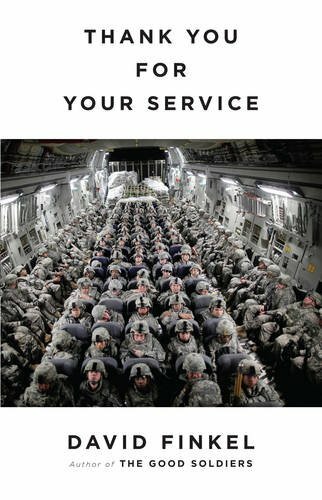 In Thank You for Your Service he weaves a masterly, compelling narrative out of the troubling stories of a US infantry battalion as they return home from Iraq and attempt to survive peace. Finkel writes frankly and compassionately about the soldiers, and about their partners and children: the heartbroken wife who wonders privately whether her returned husband is going to get better, or kill her; and the heroic victims, with the fresh taste of gunmetal in their mouths, who will either make the journey back to sanity or to final ruin. Finkel takes us everywhere that the war has touched: to the courtrooms that are being filled with divorce and abuse cases; to bars; and to the mental-health clinic to which the army is outsourcing its post-traumatic stress disorder cases. Thank You for Your Service is shocking but always riveting, unflinching but deeply humane.